Check out this classic rock tune by Toto, now in a terrific new arrangement by veteran writer Ralph Ford. 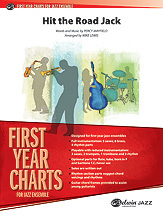 The chart has a great groove, and it includes a tasty woodwind/mallet feature. It's perfect for the field or the stands!